The Evidence Audio Patch Kit 10 SIS Plugs with 10ft Monorail Cable is a cable construction kit that allows you to customise and design cable wiring to your own specifications. 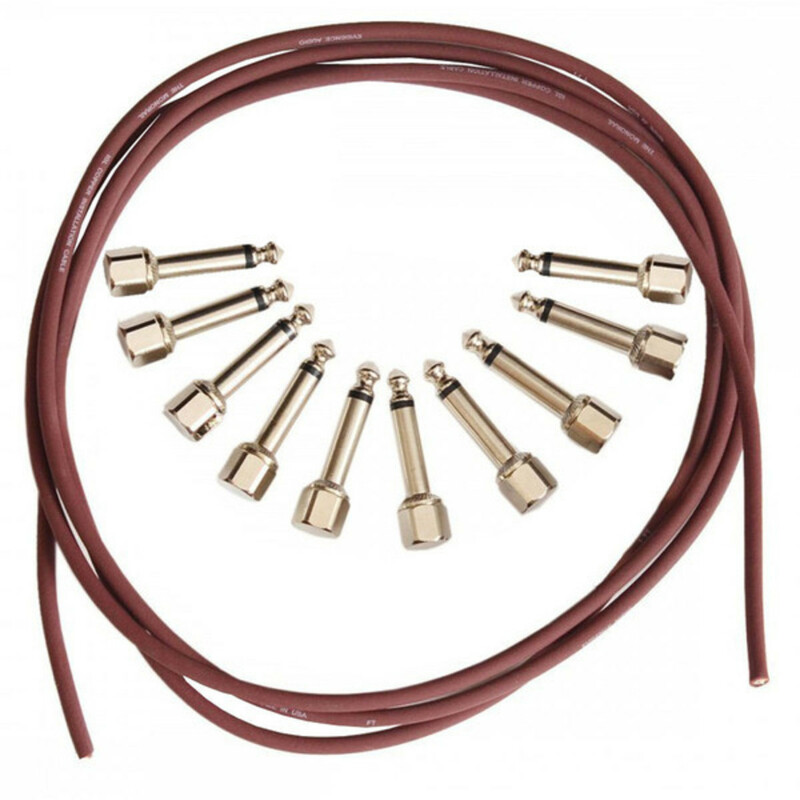 Making your own cables has become a necessity to many musicians, allowing them to cut cables to the exact length they need. The Evidence Audio SIS kit makes this easier than ever, incorporating the SIS (Screw In Solderless) system for painless and straight-forward custom cables. The 10 foot cable included with this kit, along with the 10 right angled jacks gives you the ability to create up to 5 patch cables at any length you desire. The flexible monorail SIS cables are small and flexible, fitting into any pedal board or audio setup easily without taking up too much room. The monorail cables feature professional-grade components ensuring optimal audio quality even at the biggest lengths. Audio signal integrity is paramount to any professional live audio rig, with every cable and piece of equipment being a factor in how good the sound quality is. One of the most overlooked yet important aspects of professional quality sound output is the cables. Poor quality cables can cause extra noise, loss of signal or low quality audio. The Evidence Audio Patch Kit comes complete with 10 feet of Monorail cable which is constructed from premium quality components resulting in clear, crisp audio reproduction. These solderless cables match up to the quality of expensive solder sets with the added versatility of being able to customise the cables at any time.